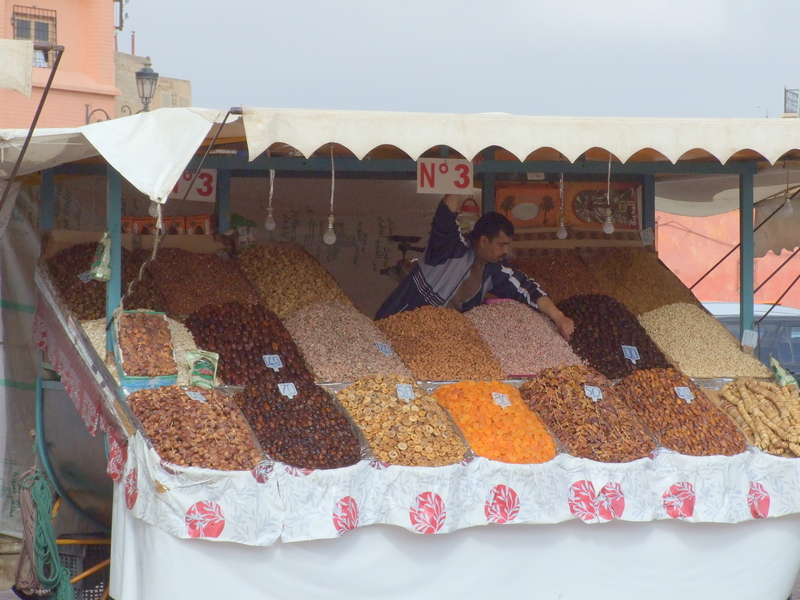 Marrakech | Rantings from a bored mind. Over the course of the next few days we got the hang of the souq’s and how to haggle, we woke up early and got freshly pressed orange juice from the vendor in the Djemma. 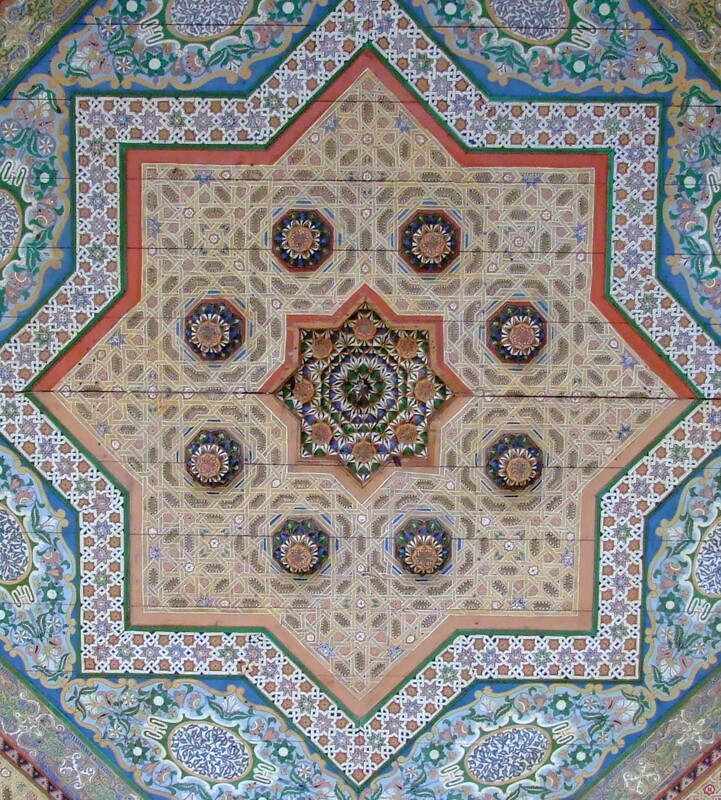 We visited some fantastic monuments such as the Ali Bin Yousef Medersa, the 14th century Muslim School. This building is quite spectacular with intricate carvings and mosaics. 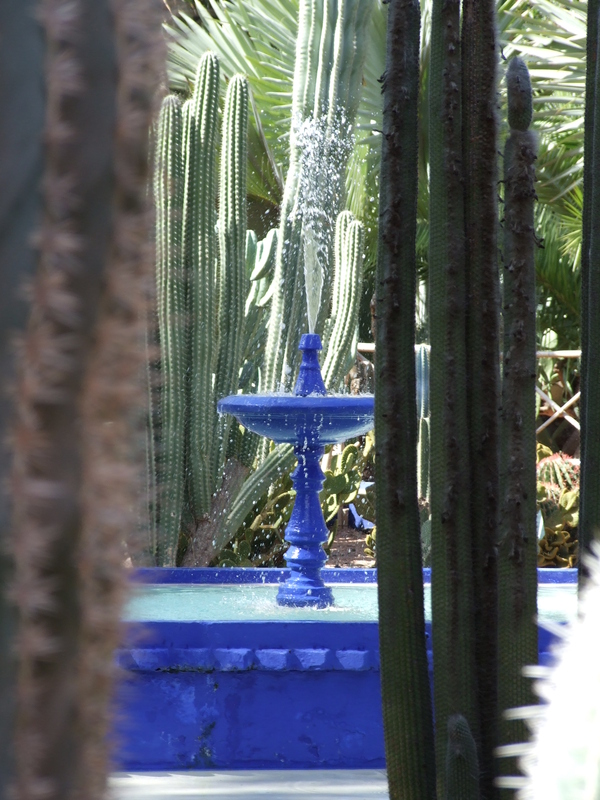 For a bit of peace and quiet we headed into the Jardin Majorelle, the wonderful garden set up in the 1930’s and then donated to the city by fashion designer Yves St Laurent. We also ate some amazing food from Tajines to Kebabs, Prawns, Calamari and Lamb. On our last day looking around the Souq’s we came across a young guy who was carving on a hand powered lathe and guiding the chisel with his feet. After we had bought some carved ornaments I asked if I could take a photo, which I was allowed to, and then I was told that it was my turn. This was incredibly hard to do and my efforts were quite bodged, but I was pleased with the outcome and had managed to avoid chopping off my toes. It turns out that he had been doing this since he was eleven having learnt from his brother. He was now 17 and a proper craftsman. After a dodgy start to the week, I had completely changed my opinion about Marrakech, and loved the city, as it is like nowhere else I have ever been before. I think that I would like to go back to Morocco and explore a bit more, but I would probably make sure that I stopped in Marrakech again. 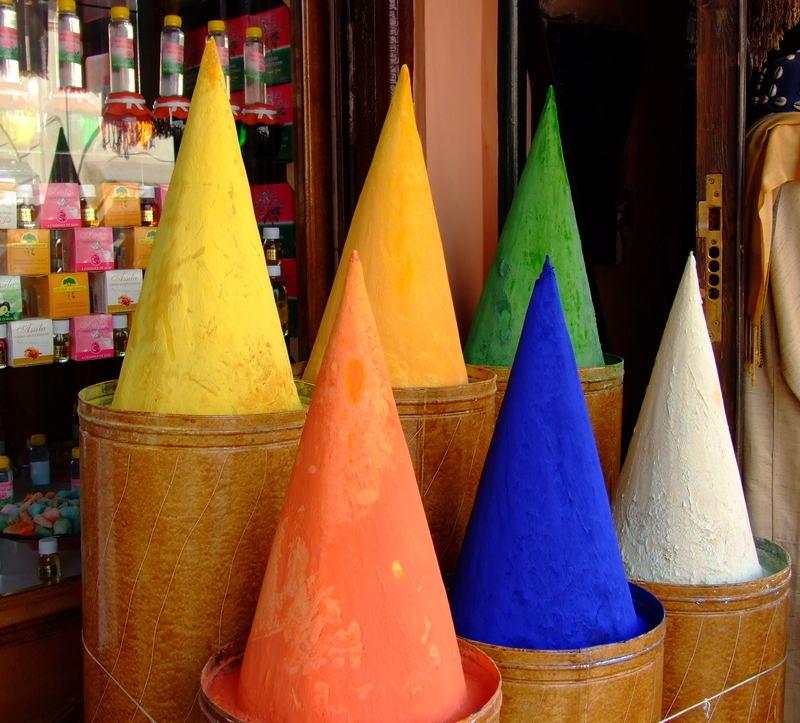 All of these photo’s and a lot more can be found in the Marrakech set on Flickr. Posh Pilot: Welcome to this Easyjet flight to Marrakech, our journey will take 6 hours. Posh Pilot: Only Joking its 3 hours and 15 minutes. 2 minutes later a warning light had come on in the cockpit and a crew was being dispatched to fix it and fill out paperwork in sextuplet. All the while this was happening the cabin was getting hotter and hotter, as we had just left our stand from the runway, a passenger fainted, and we had to go back to our stand while he was taken off t=of the flight much to his annoyance, he wanted to go on holiday and so did we. Eventually we got into the air and having been sat down for 6 hours we were finally in a wet and rainy Marrakech. Passing through passport control is never exciting, but this one seemed to take three timedsas long as any others I have encountered, luckily our airport transfer was there, and I have to say that it was the best thing that I could have done, entering the city for the first time, is like another world, and there would have been no way in the world we would have found our Riad. So we went for a walk around the Djemma el-Fna, and I found it to be busy and loud and I was being hasseled everywhere I turned, I put this down to being hungry though, so we had some food, and I tried Tagine for the first time and really enjoyed it. To be honest, I wasn’t enjoying Marrakech though, and after another terrible nights sleep I had decided that I hated the place. Our first morning there we had a nice breakfast of bread (the Moroccan flatbread is really nice, I could have eaten it all day) and honey with Mint Tea and we then decided to go out and see some things. 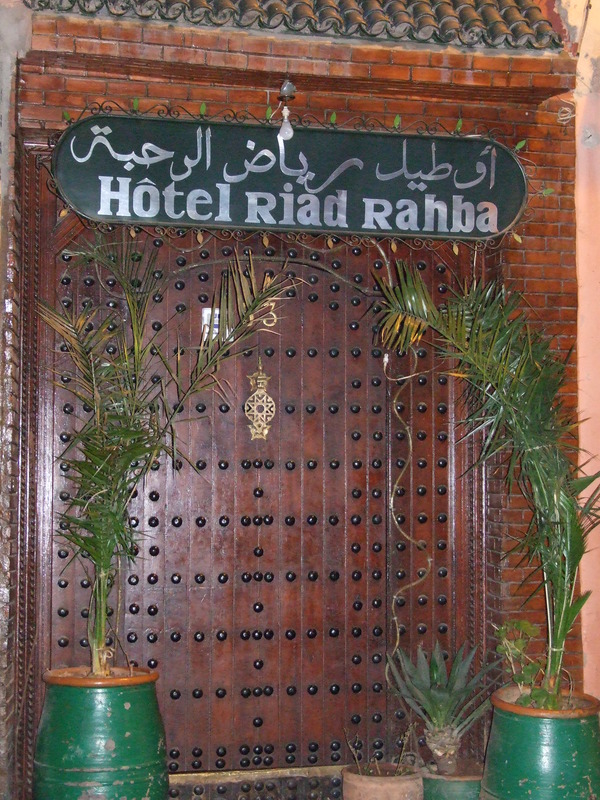 First we headed to the Bahia Palace. Something about this new morning had changed my opinion, maybe it was the tea, or the fact that it was sunny and warm, or the fact that the colours were bright and cheerful, or there were oranges on the trees, but I started to settle down, and the Palace was a good place to start. This had taken 14 years to build from the 1860’s and its mosaic and fretwork is simply stunning, and with its fountains and courtyards is an oasis of calm inside the manic city. From here we went to the Dar Si Said, for more amazing architecture and a look at some Moroccan art. In the afternoon we had our first real look at the Djemma from the terrace of one of the cafe’s. Seeing the Snake charmers, acrobats and story tellers gave a whole different perspective on the place, by now I was beginning to enjoy myself. Even more so when the restaurant stands started turning up. Over the course of about 30 minutes, the square went from being emptyish to being full of food stands and cooking and wonderful smells, we headed into one of them where I had the best Calamari that I have ever eaten. 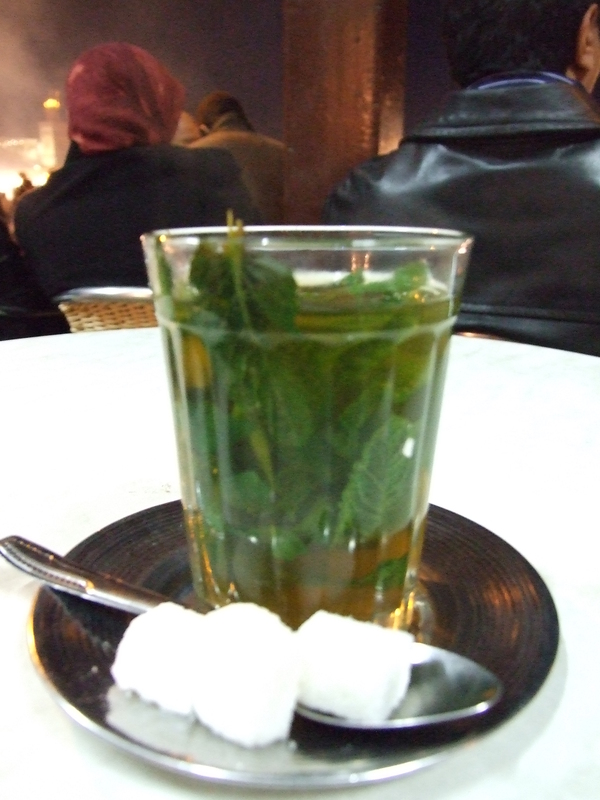 After yet another mint tea we headed back to the hotel in a much better fram of mind and went to bed having my mind changed over the course of 12 hours in the city. Tomorrow H and I fly to Marrakech for 4 days. We are both quite looking forward to it, even though we are flying Sleazyjet. We are definately going to be doing it on a budget, but who cares, its a different country. It will be a lot warmer, its about 20 degrees there at the moment, but it might have some rain though. 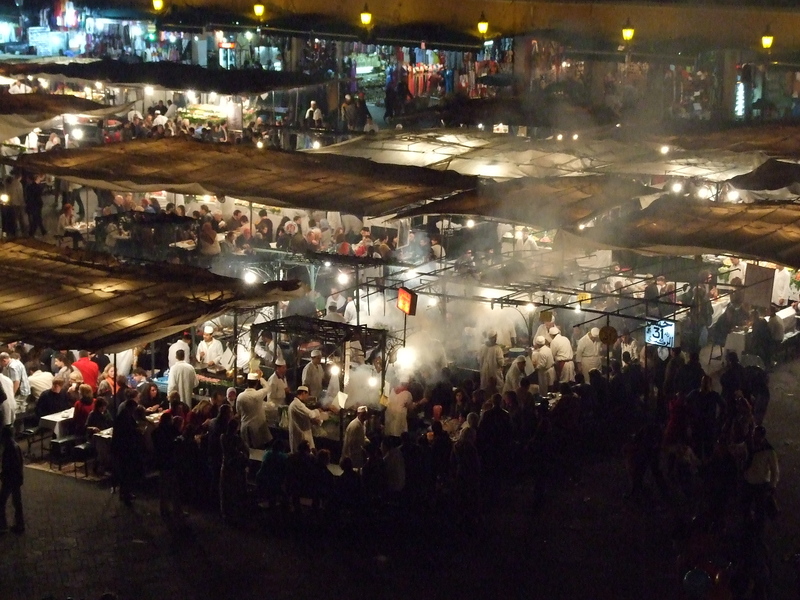 I can’t wait to see the souk’s and the Djemma el Fna, and something a bit different to here, with lots of bright colours and different foods.